"Are you looking for an easy, hassle free way to have a memorable magical birthday party for your child?" "Intimidated with the task of entertaining kids for an afternoon?" "Want to have the kids talking about how great the birthday party was long after it’s over?" Get a free Quote for your event! Whether you’re having your kid’s birthday party, or hosting a school carnival, you’ve come to the right place. 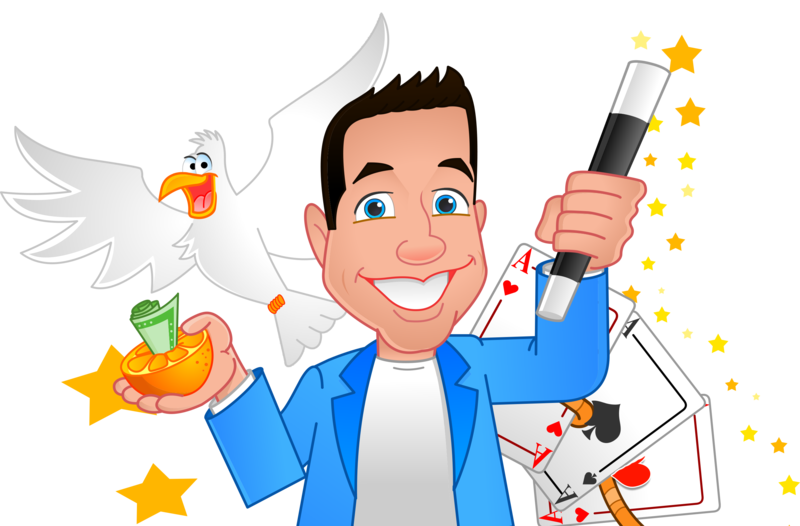 Learn why clients are leaving rave reviews about Steve’s magic shows, and what makes Steve’s balloon sculptures so special. Based out of the Tulsa area, Steve Green the magician offers fun filled magic shows and balloon animals for all ages!